The eight detained former ministers include former Catalan Deputy Vice President Oriol Junqueras, the right hand of the independence movement's leader, former President Carles Puigdemont. 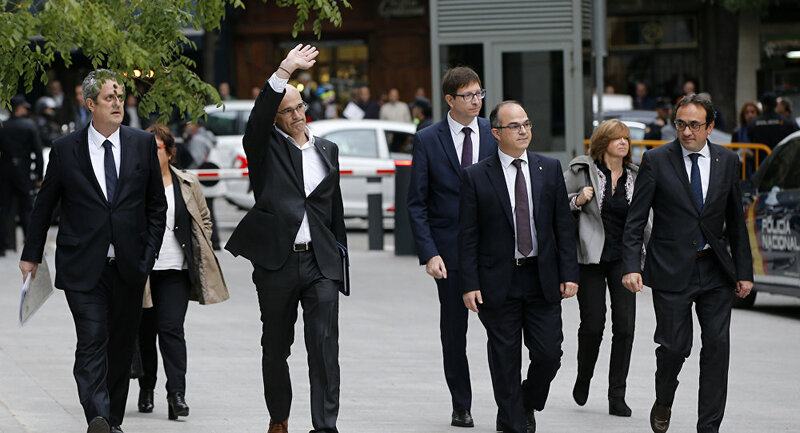 Many other top officials were detained: former Foreign Affairs Minister Raül Romeva, former Justice Minister Carles Mundó, and former Interior Minister Joaquim Forn among them. Lawyers representing the eight ministers said that they would appeal against the decision, which they described as "unjustified, disproportionate and predetermined." Nine former ministers were called to Madrid to answer questions. Only one minister, ex-Business Minister Santi Vila, was granted bail. Unlike the other eight, Vila resigned before the Catalan Parliament could vote for independence on October 27. Other ministers are to be tried for the same charges, including Speaker Carme Forcadell. However, they will sit before the Spanish Supreme Court due to their parliamentary immunity. Madrid is not done, and has asked the judge to issue arrest warrants for Puigdemont and four more former ministers, who have all fled the country. The deposed Catalan president, who is now in Brussels, said he would return to Spain only if he was guaranteed a fair trial. He also called for his former colleagues to be released, calling their jailing a "serious mistake." "Repeated attempts to deliver the summons at home and repeated phone calls have been ignored," Spanish prosecutors said in a statement. 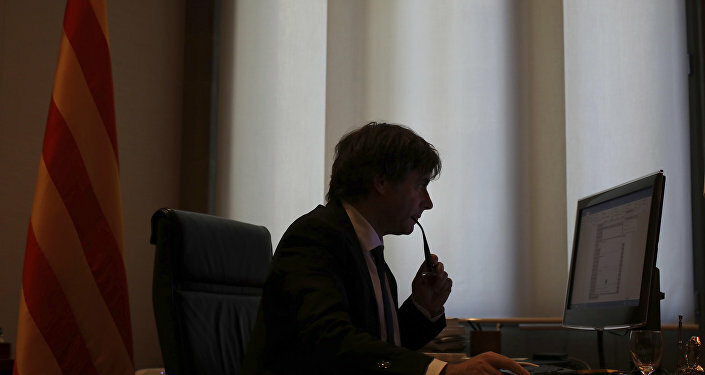 "For his part, Carles Puigdemont has publicly stated his intention not to appear and has requested… to make a statement via video conference, without giving any information about his current whereabouts." If the warrant is issued, then Belgian authorities will have 15 days to arrest Puigdemont. Brussels can get out of the warrant for several reasons, such as political or racial discrimination — or fear that the suspect would not receive a fair trial. As such, the Spanish internal crisis threatens to spread to other countries in the European Union as well, who have generally tried to stay neutral during the rupture. Puigdemont's lawyer Paul Bekaert told the Associated Press that Puigdemont would turn himself in to the police if an arrest warrant was issued. At the beginning of October, the Catalan people undertook an independence referendum in which 90 percent of those who voted opted to secede from Spain. In late October, Spanish Prime Minister Mariana Rajoy imposed direct rule over Catalonia, dissolving the regional Parliament. Madrid also jailed the leaders of two prominent pro-independence organizations: Jordi Sanchez, president of the Catalan National Assembly (ANC), and Jordi Cuixart, president of Òmnium Cultural. Catalan leaders have described these arrests as the undemocratic taking of political prisoners. "A government democratically elected at the ballot box is in jail," said Barcelona Mayor Ada Colau after Sanchez and Cuixart were arrested. "There is a common front to achieve the freedom of the political prisoners."